Arts and Crafts home with extensive wood detailing throughout. 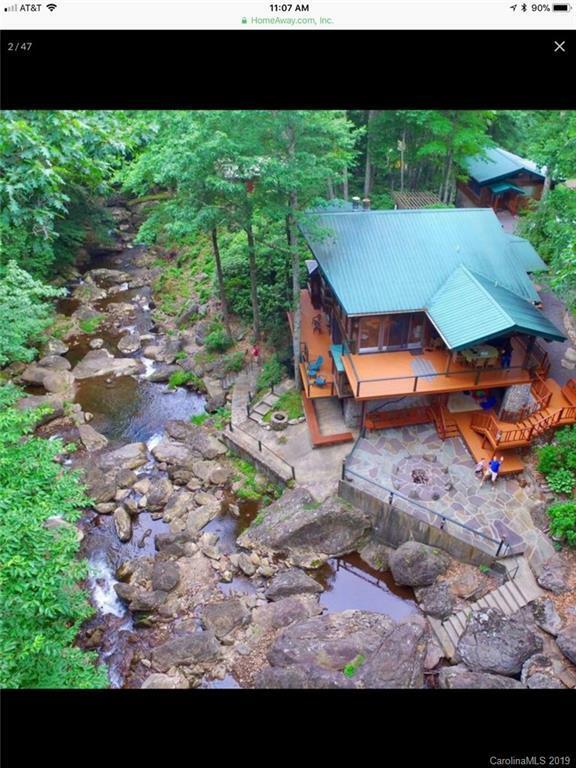 Located on a large, roaring creek with waterfalls. Home construction started in 1996. It took 10 years to build. The property consists of a main house, guest house and carport. The main home has 3 large deck spaces and large floor-to-ceiling windows overlooking the creek. Also, the home has 3 kitchens, Viking appliances, 3 fireplaces, radiant-floor heating, whole-house dehumidifier, exterior table tennis room, copper gutters, poured concrete construction of lower level and deck, too many luxury finishes to mention. The home is situated in a mountain community with an abundance of wildlife. Homes in this area can no longer be built on a creek. This is truly a very special one-of-kind property that can not be duplicated.